Perfection comes at a price. As soon as the government passed legislation allowing humans to be genetically engineered and sold as pets, the rich and powerful rushed to own beautiful girls like Ella. Trained from birth to be graceful, demure, and above all, perfect, these “family companions” enter their masters’ homes prepared to live a life of idle luxury. 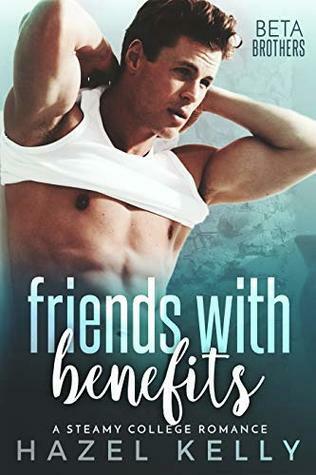 Ella is happy with her new role as playmate for a congressman’s bubbly young daughter, but she doesn’t expect Penn, the congressman’s handsome and rebellious son. He’s the only person who sees beyond the perfect exterior to the girl within. Falling for him goes against every rule she knows… and the freedom she finds with him is intoxicating. But when Ella is kidnapped and thrust into the dark underworld lurking beneath her pampered life, she’s faced with an unthinkable choice. Because the only thing more dangerous than staying with Penn’s family is leaving… and if she’s unsuccessful, she’ll face a fate far worse than death. For fans of Kiera Cass’ Selection series and Lauren DeStefano’s Chemical Garden series, Perfected is a chilling look at what it means to be human, and a stunning celebration of the power of love to set us free, wrapped in a glamorous—and dangerous—bow. I initially had this series as a pass after reading a few mixed reviews. But then I saw the audiobook at my library and decided to give it a second chance. I was intrigued by the concept and I seem to have great success listening to dystopian YA worlds (The Lone City Trilogy for example) so why not? The idea that girls are bred as pets for wealthy people is an interesting and unique dystopian spin. I’ve read books where girls are bred for surrogates (The Jewel) or girls are sent off to marry older men to repopulate the world (Wither) but nothing of this variety before. What’s the purpose? Why has society come to this? Unfortunately, we don’t really explore this too much, especially in Perfected (Book #1). I think we get one line in Perfected that gives us the history of why they started breeding girls (or at least where the idea originated from). So in that respect, I was a little disappointed because I wanted to learn more. However, I find the sequels do a better job or highlighting the various issues of having “pets”. The focus shifts to questions about what makes someone human and allusions to owning humans (ie slavery). It gets more of a social conscience as the story progresses and that definitely appealed to me as a reader. I’d have a hard time telling you the exact plot for Perfected (Book 1) because there isn’t too much of one. The synopsis is a touch misleading because the kidnapping aspects seems like it would be the main plot-point but it isn’t. It’s a crucial moment in the novel but it isn’t the main story. Perfected is mostly about Ella losing her naivety about the world. She’s been at her “kennel” for 16 years and told the world is a certain way. But as she lives in the real world, her ideology changes and she grows as a person. It isn’t terribly exciting but I did find myself entertained nonetheless. I love good character progression and Ella–though she makes some mistakes–is endearing in her efforts. Compared to the first novel, the sequels (Tarnished and Unraveled) have much better pacing and are constantly introducing new elements into the plot. I didn’t find myself getting bored or lost in the mundane everyday life of a pet. Ella gets tested and she has some hard decisions to make and I loved watching that journey. Like I said, Ella is naive but given the circumstances of her life up until the start of Perfected, it makes sense. I think people might forget that a little. She’s the very definition of sheltered and so she has a child-like approach to the world. I found as the story progressed, she evolved and the gears started turning for her a little more. She broke out of that shell and I liked that. Sure, she makes some silly mistakes but I find she is constantly learning and evolving as a character and you can’t ask for much more than that. I also really liked some of the side characters as well, especially as the series progressed. There’s one character who completely captivated me with her story and I think she provides a nice complement to Ella with her someone jaded personality and approach. Truthfully, I wasn’t totally sold on the romance between Ella and Penn. It’s one of those situations where they connected over one thing (music) and the rest is developed “off-camera” away from the reader. It’s cute but it just seemed fluffy to me. But it is a good catalyst for driving the plot forward, especially in the sequels. It isn’t a huge focus moving forward so I appreciated that and I even appreciated the sweet moments later on. I was only able to read Perfected as an audiobook and I’m glad I did. I think getting Ella’s tone of voice as she narrated her story helped me understand her character a lot more. I could understand her struggles and developed sympathy for her character which allowed me to enjoy the story more. Having that voice in my head as I read the print versions of the sequels helped me establish her character as well. Despite a slower start in Book #1, I found this series grew exponentially as the sequels evolved. It’s an intriguing concept and world and I think if you take the time to establish everything in the first novel, you’ll appreciate the great sequels. 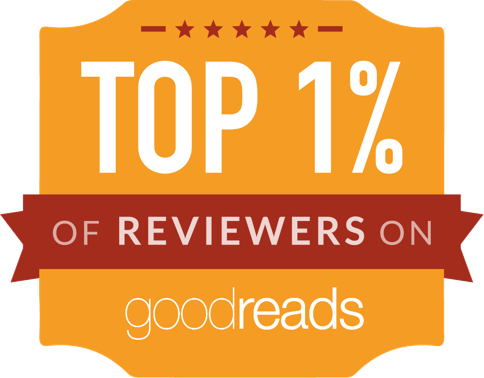 Share book reviews and ratings with Lauren - SERIESous Books, and even join a book club on Goodreads. Earn Gift Cards for Books! Read my review policy here!